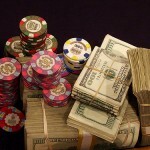 Here’s a recap of the high stake poker action from the 1st week of February 2011. Viktor Blom, aka Isildur1 may have had his woes during January at PokerStars’ tables, but in the end he managed to lure Lady Luck to his side, finishing the month above the red line. Last week, his heater continued. 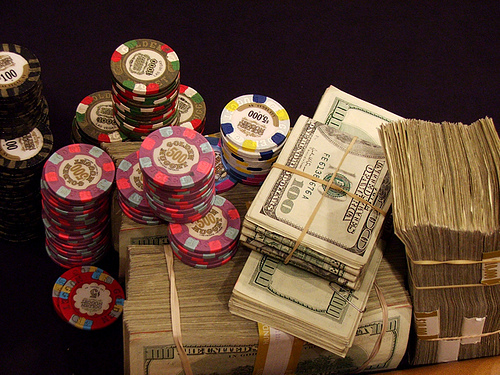 In fact, his $332,904 profit – accumulated over about 8,200 hands – made him the biggest winner of the week. Another player who did extremely well was Jared “harrington25″ Bleznick. His $251k haul was enough to give him second place on the winners/losers list. Whenever there are winners there have to be losers too. Last week, Rychard Lyndaker headlined the part of the list which fell under the red line. Tom Dwan got stuck with a massive 6-figure loss as well. One of the most interesting confrontations of the week was the one between Viktor Blom and Brian Hastings. Those who follow the going-ons of the online poker world know about the history between these two, so they’ll understand why this shaped up as a perfect opportunity for vindication for the Swede. Unfortunately for him, Hastings still appeared to have his number at the $25/$50 PLO tables, and he ended up dropping a little over $150k to the player responsible for his 2009 Full Tilt Poker demise, yet again. Both significant pots that developed during the session ended up in Hastings’ pockets. While all this was happening at PokerStars, Jared Bleznick was busy over at Full Tilt Poker fleecing a player known as “UarePielous”. The $500/$1,000 Capped PLO tables represented the scene for the trouncing. Two maxed-out ($80k) pots were registered during the slaughter and obviously: both went to Bleznick. For the first one, he flopped a set of Ks, which steamrolled his opponent’s flopped two pair. For the second 80k pot, the two players ran the turn and the river cards twice. Both times, Bleznick made boats, so there wasn’t really a whole lot more anyone could add to that. When the line was drawn at the end of the week, Blom was the biggest winner, followed by Bleznick. Also above the red line were Benjamin Tollerene with a profit of $252k, and Gus Hansen. Scott Palmer joined the winners’ circle as well. Besides Lyndaker and Dwan, Andrew Lichtenberger and Cole South lost money too.